Looking to understand AI's impact on your industry? 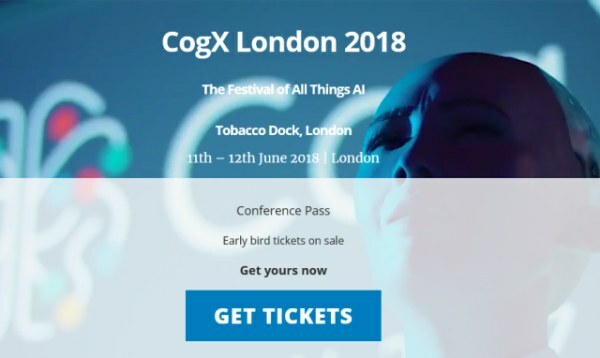 CogX 2018 (11-12 June, London) will be the single most important AI event in Europe, attracting 3,000 professionals from around the world as well as over 200 speakers and 80 market-leading AI exhibitors. Through 100 hours of intimate sessions, industry experts will discuss what it takes to get from 'lab to live' and deploy AI successfully. 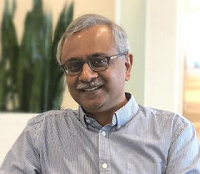 If you're trying to understand the impact that AI will have on you, your organisation and society as a whole, then you cannot afford to miss this event. CogX early bird tickets are only £599 (reduced from £1,799). Get your ticket here and use the code KDN15 to get an exclusive KDnuggets discount (valid December 2017 only). CognitionX have published 15 reports exploring AI's impact on key industry sectors. Ticket holders to their CogX 2018 Festival of AI now get free access to all of their premium reports (normally £95 each).